Yea G3 is a bit of a puzzle , they even changed their minds on how to build the so called Queens pyramids. Two of them get built in a step like fashion, then the third seems to have been built in the same manner as the main pyramids. 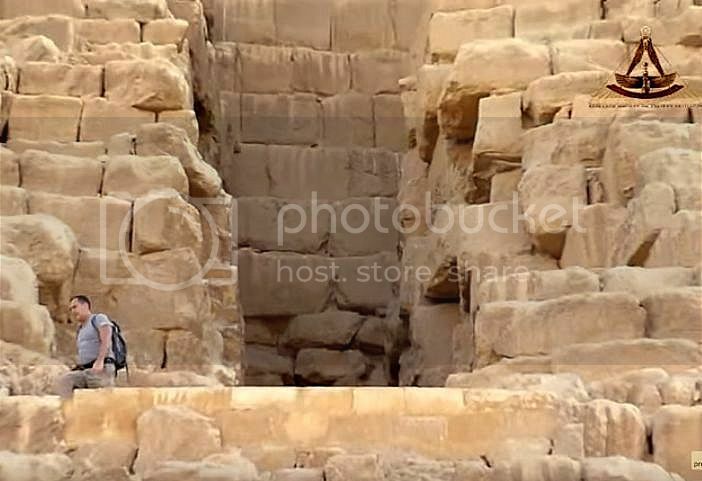 I dont know if this is significant, but you see how neat and blocky those two Queens pyramids are, then take a look at how the internal block work looks from inside that gash on G3's North side, kinda similar dont you think. 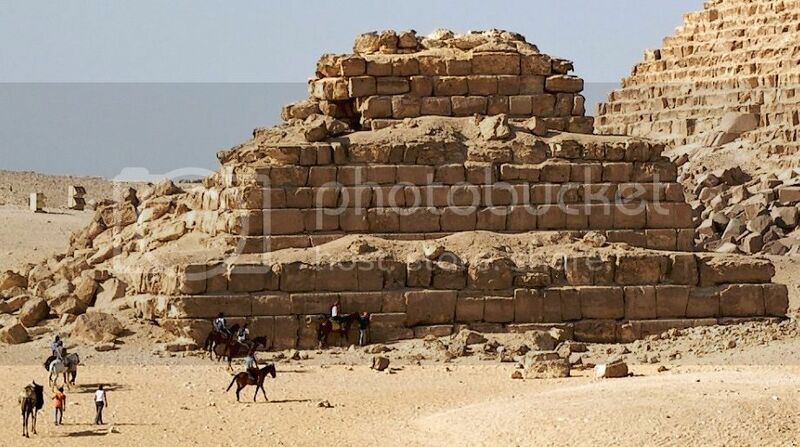 its thought this internal stonework is indicative of a change in the size of G3, now im not so sure about that, were they just building in the same fashion as those two Queens pyramids.but then again the double descending passage says a change of sorts took place, hmm its all speculation. Getting back to their crazy use of masonry , now if you going to build yourself a Mortuary temple, you would normaly get your masons and labourers to work with manageble weights , say two ton blocks, but no not those crazy guys, they decided to use blocks weighing over 200 tons, yes thats not a typo, a block weighing over 200 tons was used in G3's mortuary temple, according to Lehner. Why would you want to ?